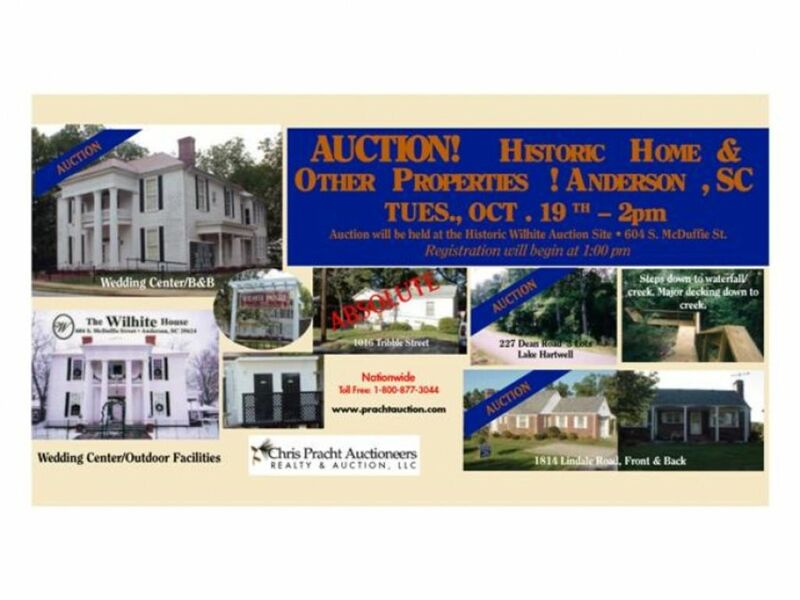 Come join us for another exciting Auction of Historic Real Estate & Other Great Properties! 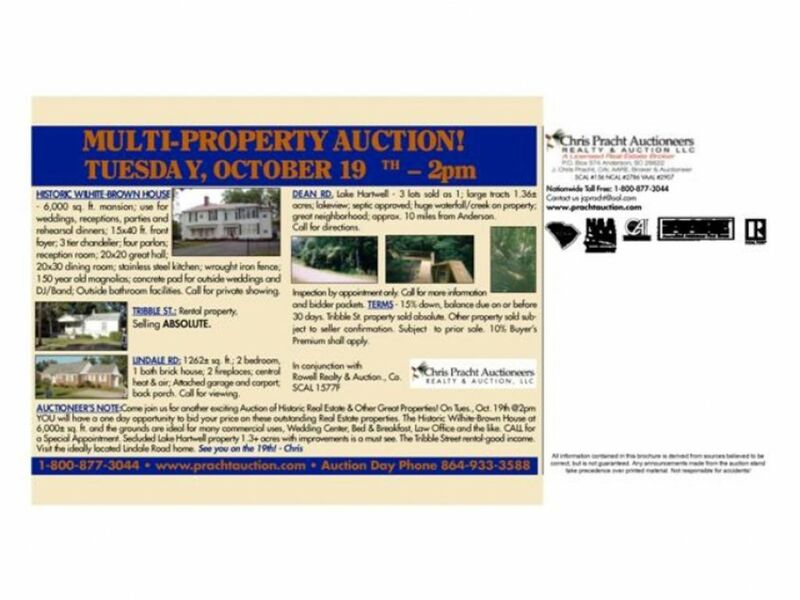 On Tues., Oct. 19th @2pm YOU will have a one day opportunity to bid your price on these outstanding Real Estate properties. The Historic Wilhite - Brown House at 6,000± sq. ft. and the grounds are ideal for many commercial uses, Wedding Center, Bed & Breakfast, Law Office and the like. CALL for a Special Appointment. Secluded Lake Hartwell property 1.3+ acres with improvements is a must see. The Tribble Street rental-good income. Visit the ideally located Lindale Road home. 15% down, balance due on or before 30 days. 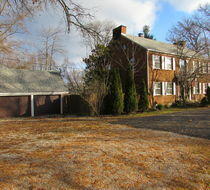 Tribble St. property sold absolute. Other property sold subject to seller confirmation. Subject to prior sale. 10% Buyer’s Premium shall apply.